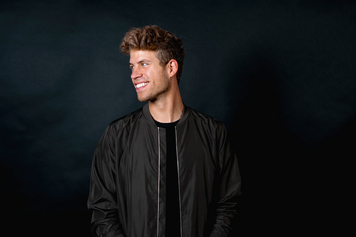 German-born producer Tujamo first discovered his passion for music as a teen and honed his craft until his unique take on dance music could be considered a genre of its own. 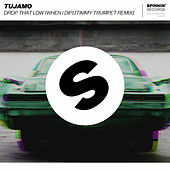 Inspiring hundreds of producers across the globe to try and imitate his unique sound, Tujamo’s energetic and pioneering dance music has seen him collaborate with Danny Avila, Dimitri Vegas & Like Mike, Jacob Plant, Laidback Luke, Martin Solveig, Pep & Rash, Showtek, Taio Cruz and many more. 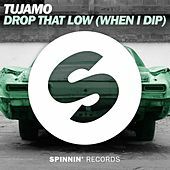 Tujamo kick-started his sensational career back in his native homeland, but it wasn’t long before his exceptional style was bringing him fans from all around the world, leading him to play out his productions in far-flung countries. 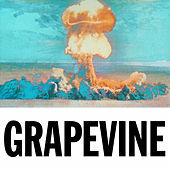 From the biggest festivals on earth including TomorrowWorld in America, Tomorrowland in Belgium, Creamfields in the UK and Summatronic in India through to legendary venues such as New York City’s Webster Hall and Pacha, the prestigious Wynn Resort in Las Vegas and Top 100 Clubs #1, Green Valley in Brasil, Tujamo has played them all. 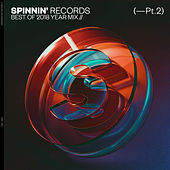 Creating killer remixes for a whole host of artists, including Martin Solveig, Jack Ü, Laidback Luke, Showtek and former DJ Mag #1 DJ duo Dimitri Vegas & Like Mike, Tujamo’s own material has had just as much incredible success. His ingenious cut ‘Dr Who!’ became a crossover chart success in 2014 while last year’s collaboration with Mixmash boss Laidback Luke ‘S.A.X.’ was undoubtedly one his biggest collaboration to date. ‘S.A.X.’ became the German powerhouse's third consecutive Beatport #1 and led to him being asked to rework Laidback Luke’s ‘Rocking With The Best’, a stone cold classic from 2002. As if that wasn’t enough, Tujamo’s solo record ‘Booty Bounce’ was undoubtedly the German super-producer’s biggest hit to date. 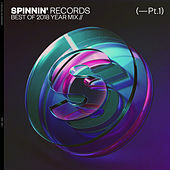 The record, which came out on Dutch superlabel Spinnin, was so successful that British superstar songwriter, rapper and record producer, Taio Cruz, jumped on to give the record a full vocal version. To date ‘Booty Bounce’ has had over ten million streams, just on Spotify alone and hit the iTunes charts worldwide. The stats speak for themselves: Thanks to Tujamo’s devotion to pushing his distinctive take on dance music forward, he’s racked up hundreds of millions of streams worldwide, scored no less than 5x Beatport Overall #1 tracks, 8x Beatport #1 releases, spent a combined 3,800 days in the Beatport Top 100 and has seen his anthems such as ‘Boneless’, his collaboration with Steve Aoki & Chris Lake, picked up for huge advertising campaigns and the infamous Furious 7 movie, achieving certified Gold and Platinum status in the process. 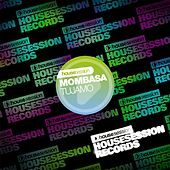 All of this success has seen Tujamo smash his way into the DJ Mag Top 100 list with record labels snapping at his heels. 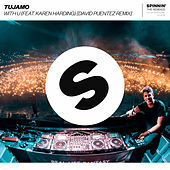 Everyone from US dance music titan Ultra Music and the aforementioned Spinnin' to tastemaker owned imprints such as Laidback Luke's Mixmash Records and Dimitri Vegas & Like Mike's Smash The House have lined up to get their hands on a Tujamo track. 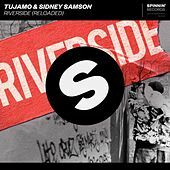 Many have tried to copy his production style, but Tujamo’s dedication to evolving his unstoppable sound has kept him at the very top of the dance music scene and garnered him the interest of every top label in the game. 2016 showed Tujamo in full effect, when he released ‚Drop That Low (When I Dip)‘, ‚Keep Pushin’, and ‚BOOM!‘, which lived up and surpassed the success of his previous productions. Gathering more than 450 million streams on Spotify, Tujamo has become one of the most popular artists in electronic dance music. 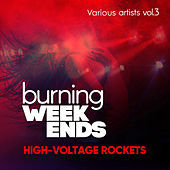 Likewise, one of dance music’s biggest trendsetters, Beatport, saw each single reach at least the overall top 5 chart and in most cases the genre chart’s #1 position. This prospered into a massive tour schedule, with over 150 shows, seeing Tujamo play countless shows at some of the most prestigious venues in the world, including the legendary Zouk Clubs in Singapore and Kuala Lumpur, Privilege on Ibiza, Exchange Club in Los Angeles and many more. He entered the festival stages at Lollapalooza in Berlin, Tomorrowland in Belgium, Sunrise Festival in Poland, Untold Festival in Romania and Airbeat One and Parookaville Festival in Germany among others. Meanwhile, DJ Mags Top100 poll saw him rise from number 95 to 78, strengthening Tujamo’s already solid position even more. In 2017, Tujamo can already look back on a huge China tour with ten stops in the countries ever growing club scene, making him one of the very first artists to ever tour the new mecca of dance music for so long. 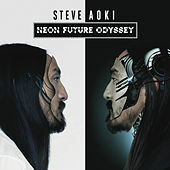 Add to that another tour through Asia and Australia, a glorious remix for David Guetta, Nicki Minaj & Lil Wayne’s latest hit ‘Light My Body Up’ and his upcoming single ‘One On One’ on music titan Universal Music you can conceive an idea of where the journey is heading.